Vermont Highland Cattle Company: Sustainably grown natural Vermont products. We are a small, family-owned operation dedicated to sustainable agriculture, nutrient density and quality over quantity. We think great beef is the result of a complex combination of factors including breed, feed, care and age. What makes Vermont Highland Cattle Company beef special is that we pay attention to all of the details that help us achieve great taste. 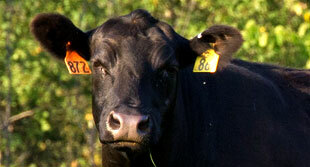 Why choose artisan beef producer? Learn how naturally raised animals are different from those destined for large industrial operations.